Electronic Fuel Injected (EFI) 112cc Engine The 112cc 4-stroke engine provides the power your young driver needs to experience the joy of riding along with the rest of the family. 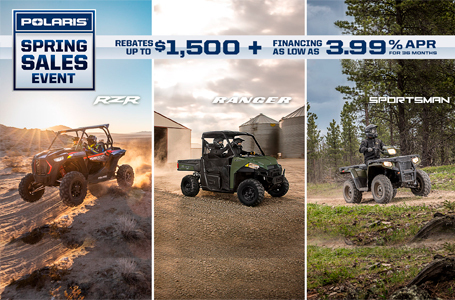 The Electronic Fuel Injection (EFI) delivers consistent starting and a crisp throttle response while the electric start makes it fast and easy to hit the trails. Long-Travel Front & Rear Suspension Bumps in the yard and on the trail are soaked up by 5" of suspension travel up front and 6" of travel in the back. Adjustable Speed Based on Rider Skill Level Easily select from a 15 mph restricted mode or unrestricted 29 mph based on rider skill level. EFI provides more accurate speed control in all operating conditions when compared to a mechanical throttle limiter. Standard Safety Features Safety is the number one priority when it comes to kids enjoying off-road adventures. 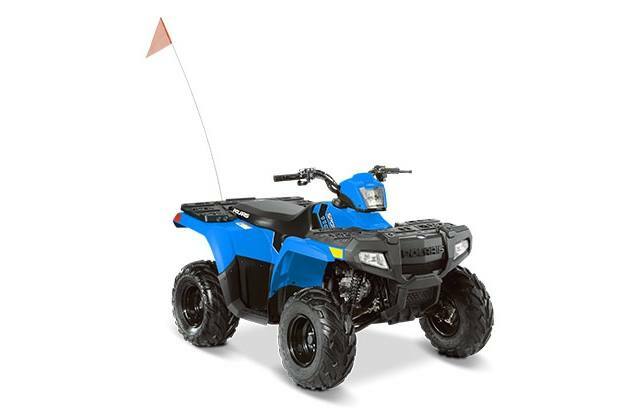 The Sportsman 110 EFI comes standard with one youth helmet, safety tether, daytime running lights, safety whip flag, speed limiting adjuster, and a training DVD.